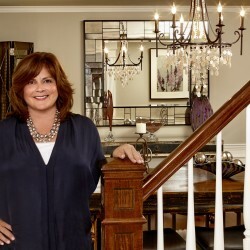 To celebrate our 12th Anniversary we are offering $50 off a home decorating consultation with one of our designers. 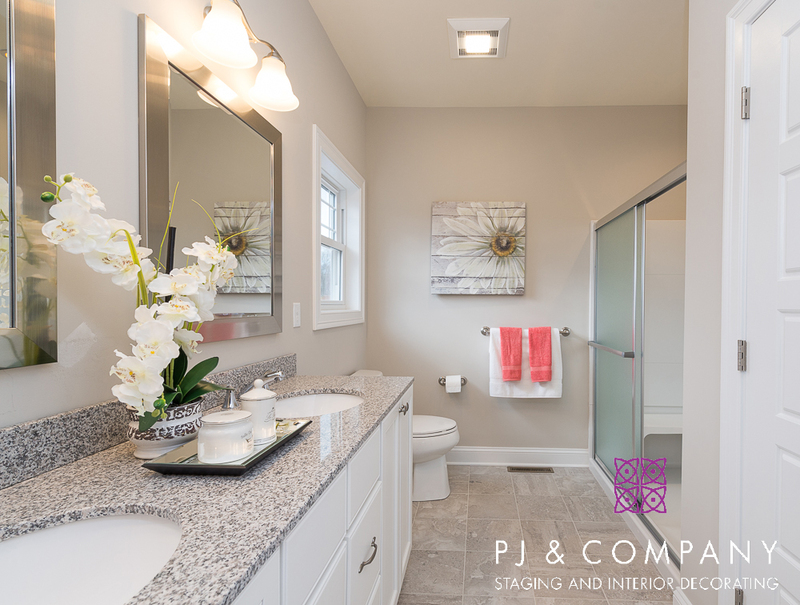 No matter what your style, schedule or budget, we can help refresh any space in your home for the new year. Contact us to schedule and mention “The Style Report” through January 31, 2018. Kitchens are more important than ever when it comes to influencing buyers’ perceptions of a home as well as the perceived value. There are many ways homeowners can update key kitchen features depending on your budget. Painting, updating appliances, lighting, and cabinet hardware are just a few examples of simple fixes that are worth every penny to engage buyers. 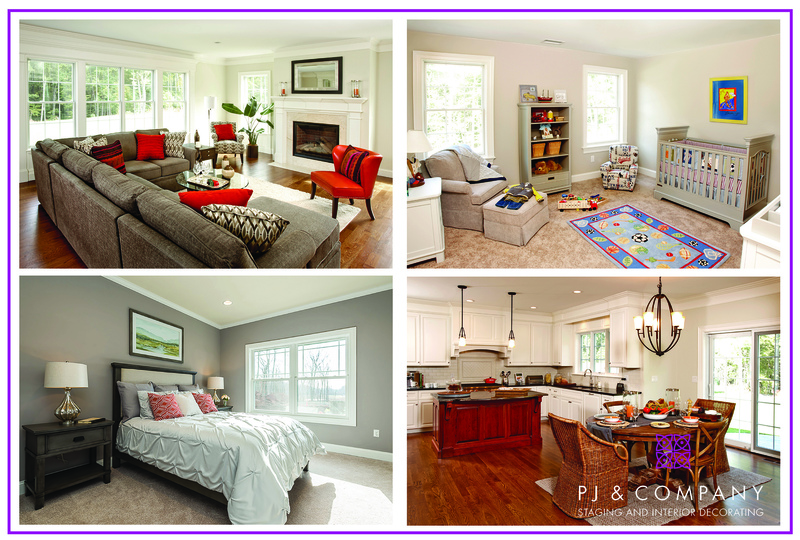 The following photos include some of PJ & Company’s kitchen staging and renovation projects featuring some of these great ideas. Our favorite fix for dated cabinets is paint. Using bright white paint to cover outdated, dark wood cabinets gives this kitchen (pictured above) a modern facelift. Other cosmetic fixes to enhance the look include replacing cabinet hardware with sleek, brushed nickel knobs and handles. Adding a few modern accessories like the small sisal rug provides a relaxed and inviting Pottery Barn look. An easy way to add modern style is to say goodbye to dated wallpaper with busy patterns. Painting walls a neutral color will enhance the kitchen’s best features. Then add texture and pattern in accents such as seat cushions, rugs, window treatments and wall art. The right lighting is a critical part of any space but is most important in the kitchen for functionality. These industrial style pendant lights are a perfect example of a simple update that adds a twist of contemporary style with sophisticated appeal. 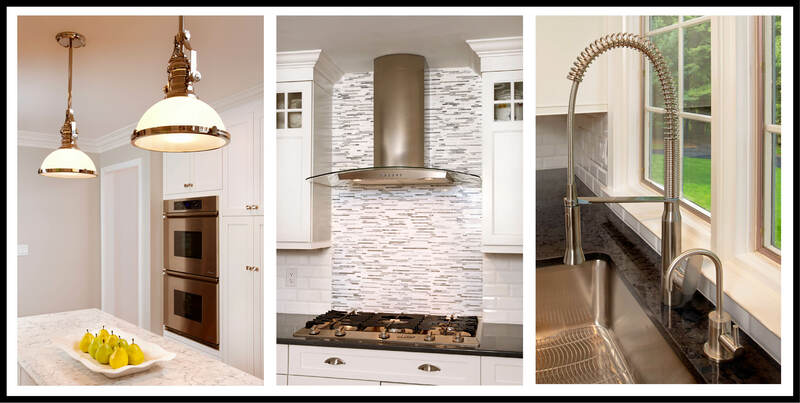 The single lever faucet which compliments the stainless steel stove and floating hood is another example of an upgrade which completes the state of the art look of the room. There are a range of options available to choose from which will give a high-end look that will be attractive to buyers. Repair or replace counters that are cracked, stained or dated. 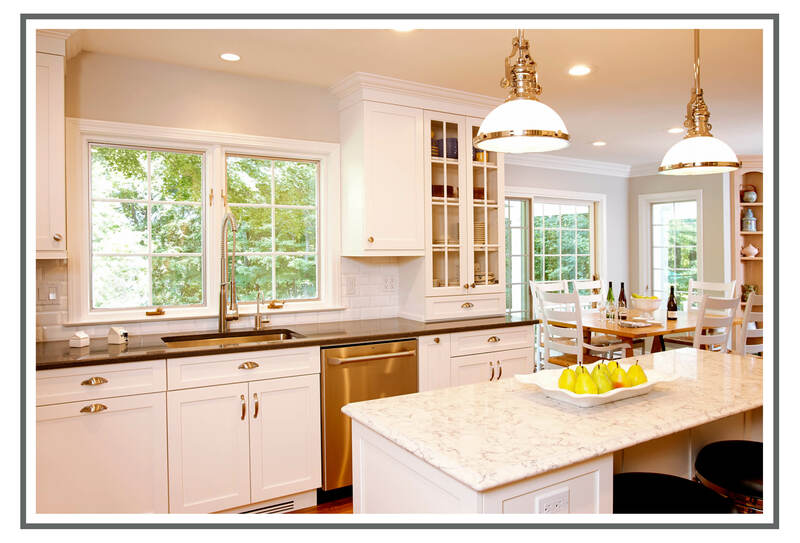 If replacing, consider one of our favorite materials, Quartz which is a popular alternative to granite and marble (used for island in above photo). It comes in a variety of colors and styles that provide both a custom appeal along with durability. Nothing says dated more than worn carpeting, scuffed hardwood floors, and cracked tile. If your kitchen floor is dull and has lost its lustre, first try to wax or polish surfaces, re-grout or repair tiles. Otherwise consider replacing with a variety of affordable and durable synthetic options that are widely available and mimic the look of hardwood, stone or marble flooring.